Business owners and marketers are turning to video ad campaigns to break through the content clutter to reach their audience. Some of these campaigns spectacularly successful. Sadly, many more have been dismal with low sales and high ad costs. It seems the only ones that are assured of success are Google and Facebook. Creating an effective video ad is only half the battle. Today we will focus on the other half – optimizing and scaling your video ad campaign to maximize your profits. There are five pre-campaign optimizing strategies that will give your video a step up to attract and engage with your audience and increase your sales. You have your completed video ready to go. But before you lock it in for your campaign launch, test it in the market place. Post it on your Facebook page or YouTube channel and throw in $10 -$20 to promote it to your border audience. Think of it as fishing in the your favourite lake with a new bait. You want to see which of your regular fish will go for it. 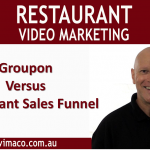 Analyse the results and note the specific segments of your audience that have responded best to this specific video. You will now use this specific audience group for the following A/B tests. Test your current video thumbnail with an alternative one by creating two ad sets. One thumbnail may include an image of yourself, another may be a graphic with the video’s topic. Run the two ads simultaneously at $5 -$10 per campaign and then analyse the results. The video with the higher number of clicks per impressions will be used for the remaining tests. Test your current video title with an alternative one by again creating two ad sets. Run two $5 – $10 campaigns and the video title with the higher number of views per impressions will be used for the remaining tests. Your viewers will decide in the first five seconds whether they will continue to watch your video or not. Test your current opening with an alternative by creating two ad sets. Run two $5 – $10 campaigns and select the video that retains your audience for the longest time. The CTA is the objective of what you want your audience to do such as sign up for a webinar, optin your email list for a lead magnet or visit your website. Test your current CTA with an alternative by creating your final two ad sets. Run two $5 – $10 campaigns and select the video that has the highest number of conversions. You now have a video with a very specific target audience, an effective video Thumbnail and Title, an engaging Opening and a high Converting CTA. Scale your video ad campaign by increasing your budget by up to 50% per week until you are getting the results you want. Analyse the cost per lead and the percentage of converting leads into customers. For example, if the leads from your video ads costs $10 each, and on average you convert 5 leads for one customer, then your customer will cost $50. You need to know the cost of your product and the life-time value of your customer to understand if this is will be profitable for your business. If not, you will need to lower the cost of your leads, increase the price of your product or increase the life-time value of your customer by creating more products.